Apartment I-206 in the Inglewood Building is a one-bedroom suite that has been tastefully furnished for your comfort and enjoyment. 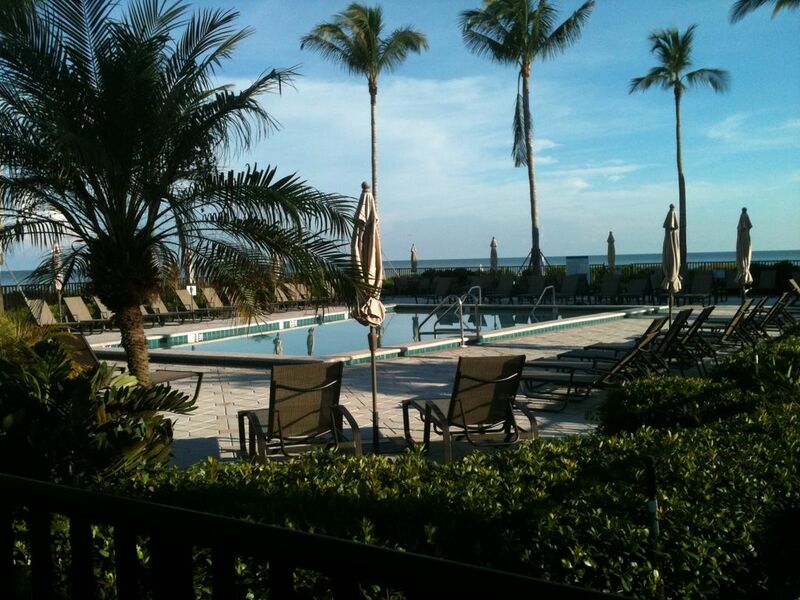 Experience all that Sanibel has to offer in style from Sundial Beach and Golf Resort. Sundial is is located in the east end of the island on Middle Gulf Drive. The beach is not crowded and life really slows down. The Sundial is a vacation paradise, and I-206 will not only comfort you, but give you the opportunity to unwind and relax. There is nothing quite like the warm breeze and the gentle waves of the Gulf of Mexico. Having your coffee on the lanai and watching the sunrise is quite spectacular. Our family has owned at Sundial since its inception. It is a place you will enjoy, relax, remember, and plan on visiting again. Why not let Sundial be your little island retreat. Sundial Resort lies on the southwest shore of Sanibel Island. Sanibel is noted worldwide for its shelling beaches. The island offers a wide variety of dining experiences from hamburgers to gourmet meals. Bike riding is a favorite mode of travel as is walking. If being on the water your thing, then experience some saltwater or backwater fishing, sunset cruises, dolphin cruises, eco cruises, and even cruises to other islands. Beachwalking or sunbathing is also an option, or shopping in some of the quaint shops along Periwinkle Drive. We feel Sanibel Island offers things that you cannot find anywhere else. Sandy and I have been married for 5 years. I grew up in the Midwest and Sandy grew up in Massachusetts. My profession was that of a Chiropractor and Sandy was a Nurse. We met in Fort Myers Florida and now we live in Florida in the winter and Cape Cod in the summer. It's a perfect combination. We love the beach, the ocean, sailing, golf, and just being outdoors. This property has been in my family since Sundial was constructed. My folks loved Sanibel, and Sandy and I love Sanibel as well. Like my folks, we love to interact with our guests and have make some life long friends in the process. The condo is very intimate and perfect for a couple, or a young couple with their first born. It has a nice Gulf view from the lanai, and only about 90 steps to the beach. There has never been a day that we couldn't relax there. You sit on the lanai and look out across the courtyard and view the Gulf of Mexico. Getting to the beach is about 90-100 steps from the elevator. Laundry room on the second floor for all guests. Parking is free throughout the resort. Internet services are free throughout the resort. Contact Billys Bikes or Fennemores for bike rentals. Many tennis courses and now Pickle Ball courses are available. Sanibel Island Golf Club and Dunes Golf and Tennis Club are challenging 18 hole courses on the island. My wife and son and I had a wonderful stay at Art and Sandy's condo. It was very comfortable and outfitted with everything one might need. From beach chairs to an equipped kitchen, we felt right at home. The location of Sundial was excellent. The saltwater pool overlooking the gulf is spectacular. We spent a lot of time playing in the water, collected incredible shells and saw many dolphins swimming by. Sanibel is a magical place. Thank you for letting us stay at I-206. We hope to return again. What a great way to spend a week, just wish it could have been longer. The condo is a perfect size for two people. Spotlessly clean, well appointed and supplied. I truly felt at home. The beach was steps from the condo and go prepared to shell! You can’t resist. Sanibel Island is perfect for relaxing. It’s quiet,casual and laid back. Thanks to the owners Art and Sandy. We absolutely loved this condo, Sundial resort, and Sanibel. It was perfect for our family of 4! The condo was very clean and felt very safe. It has a beautiful view and so convenient to the beach and the swimming pools. It was in close proximity to the fun in Sanibel, but also private enough that it was not crowded at all at the beach. I would highly recommend this condo and resort! A very suitable and functional condo, with nice decoration, very nice partial view of the Golf trough the green garden and a short walk to the beach. The relation price versus quality is very good. The owner ART helped immediately when there was a question. Michele and Albert.. We appreciate the review, and we look forward to seeing you in 2019. Sanibel is a great place to spend time in the winter. Just right for our family! We loved this place! It was comfortable and close to everything! The hosts were very attentive and helpful. Would definitely stay again! We have been coming to I-206 for years and have always looked forward to returning each year. We love everything about it! We love Sanibel Island and it's peacefulness!